GRASP Ambassadors are appointed by the GRASP Secretariat with the approval of the GRASP Executive Committee. It is an honorary position, designed to promote GRASP at the highest possible political, scientific and public levels to aid policy and outreach. Dr. Jane Morris Goodall, DBE, is an English primatologist, ethnologist, anthropologist, and UN Messenger of Peace. 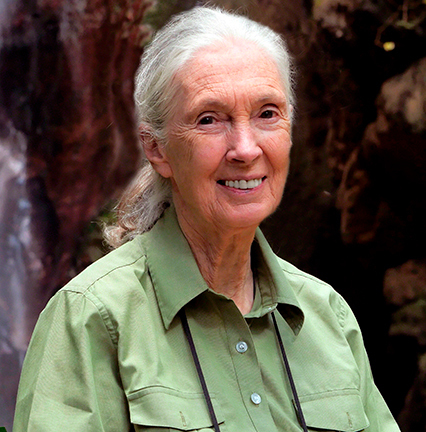 Considered to be the world’s foremost expert on chimpanzees, Dr. Goodall is best known for her 55-year study of social and family interactions of wild chimpanzees in the Gombe Stream National Park in Tanzania. She is the founder of the Jane Goodall Institute and the Roots & Shoots program, and she has worked extensively on conservation and animal welfare issues. Dr. Goodall is the recipient of numerous awards and prizes, including being named Dame Commander in the Order of the British Empire, the French Legion of Honor, Japan’s Kyoto Prize, the Medal of Tanzania, the Benjamin Franklin Medal in Life Science, the Gandhi-King Award for Non-Violence, and the Spanish Prince of Asturias Award. Dr. Goodall is the author of dozens of books, including In the Shadow of Man (1971) and two autobiographies in letters, Africa in My Blood (2000) and Beyond Innocence (2001). Russell Mittermeier is a primatologist and herpetologist who served as the president of Conservation International from 1989 to 2014. Named a “Hero for the Planet” by Time magazine, Mittermeier is regarded as a world leader in the field of biodiversity and tropical forest conservation. He has travelled widely in more than 150 countries on 7 continents, and has conducted field work in more than 20 -– with much of his field work having focused on Amazonia (particularly Brazil and Suriname), the Atlantic forest region of Brazil, and Madagascar. 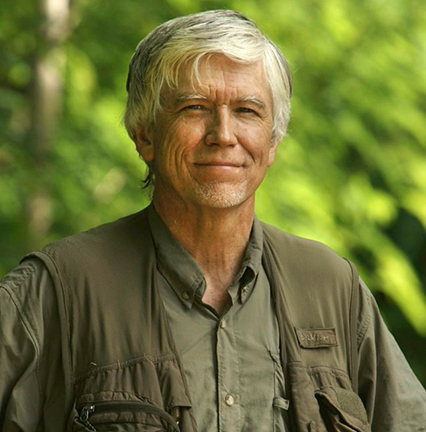 Mittermeier has served as Chairman of IUCN Species Survival Commission’s Primate Specialist Group since 1977. He was previously chair of the World Bank’s Task Force of Biological Diversity and vice-president of the World Wildlife Fund. Among Mittermeier’s many awards are The Netherlands Order of the Golden Ark and Brazil’s Grand Order of the Southern Cross. Mittermeier has published more than 400 scientific and popular articles and 15 books, including the 2005 trilogy Megadiversity, Hotspots and Wilderness, as well as Wildlife Spectacles (2003), Hotspots Revisited (2005), Pantanal (2005) and Transboundary Conservation (2005). Dr. Richard W. Wrangham is a British primatologist and a professor of Biological Anthropology at Harvard University in Massachusetts, USA. He is co-director of the Kibale Chimpanzee Project, the long-term study of the Kanyawara chimpanzees in Kibale National Park, Uganda. His research culminates in the study of human evolution in which he draws conclusions based on the behavioural ecology of apes. Dr. Wrangham is known predominantly for his work in the ecology of primate social systems, the evolutionary history of human aggression, and his research in cooking and self-domestication. Dr. Wrangham began his career as a student researcher in Jane Goodall’s long-running study of chimpanzees in Tanzania’s Gombe National Park. He served as president of the International Primatological Society from 2004-2008. 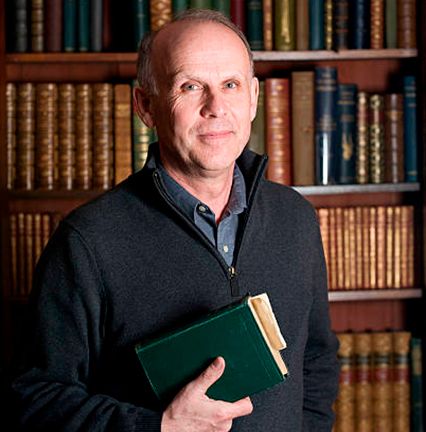 Dr. Wrangham is best known for his publications on the evolution of human warfare, described in the book Demonic Males (1996), and on the role of cooking in human evolution, described in the book Catching Fire: How Cooking Made Us Human (2009). Dr. Richard Leakey is a Kenyan anthropologist, conservationist, and political figure who was responsible for extensive fossil finds related to human evolution and who campaigned publicly for responsible management of the environment in East Africa. He is second of the three sons of the famous archaeologists Louis Leakey and Mary Leakey. In 1989, Dr. Leakey was appointed head of ‘Wildlife Conservation and Management Department’ by President Moi at the time followed by the post as Cabinet Secretary and head of civil service from 1999 to 2001. In 2004, he founded and chaired Wildlife Direct, a Kenya-based charitable organization that is a partner of GRASP, and Time magazine included him among the 100 Greatest Minds of the 20th Century. President Uhuru Kenyatta appointed Dr. Leakey chairman of the board of Kenya Wildlife Service in 2015. He is currently a professor of anthropology at Stony Brook University in New York, USA, and the Chair of the Turkana Basin Institute. 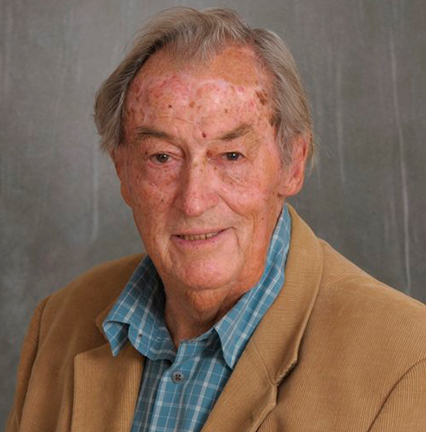 Dr. Leakey has written hundreds of scientific papers, popular articles and books, including The Origin of Humankind (1994) and The Sixth Extinction (1995). Nadya Hutagalung is one of Asia’s most recognized faces, and was voted one of Asia’s Leading Trendmakers by Asiaweek magazine, alongside the Dalai Lama, Michelle Yeoh and Chow Yun-Fat. In 2009, Ms. Hutagalung was named one of Singapore’s Top 20 most influential people by CNN and was named Best Host TV Host by ELLE magazine. She was a featured speaker in “The Nature of Crime: The Extent and Impact of Illegal Wildlife Crime” sessions of the World Leaders Dialogue during the recent IUCN World Parks Congress in Sydney and served as Singapore’s Ambassador for the World Wildlife Fund’s Earth Hour for the last nine years. Ms. Hutagalung is the co-founder of the “Let Elephants Be Elephants” campaign that seeks to reduce the demand for ivory in Asia.